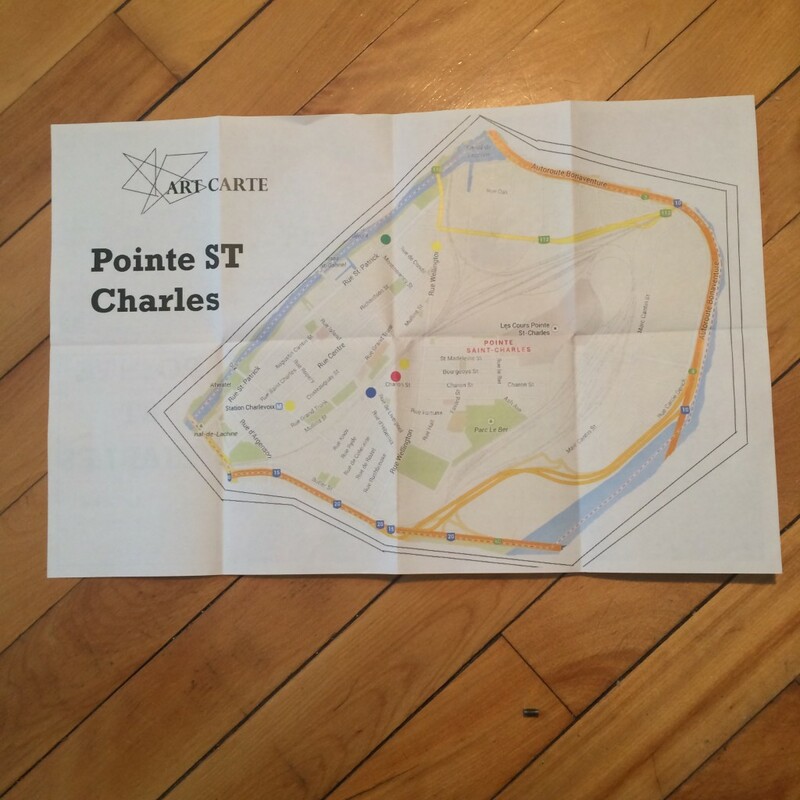 The Arte Carte, is easily reproducible, and fits in the palm of your hand and unfolds on one side to reveal a map of Pointe-St-Charles (taken from google maps) with locations indicated of notable public art and graffiti. 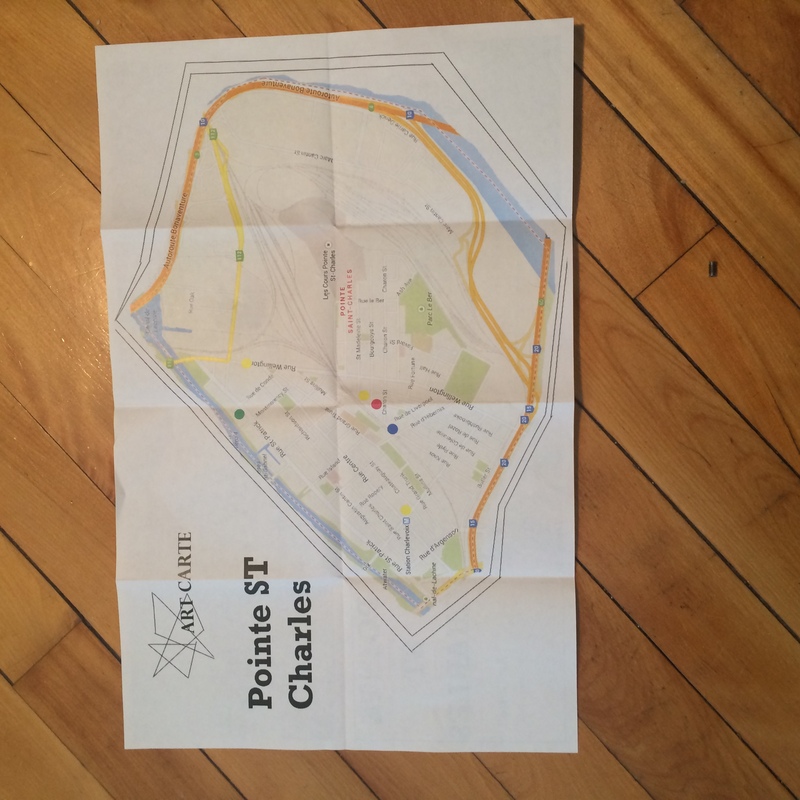 Printed on the other side is a grid of colour photos of the selected pieces with a coloured dot that corresponds to one on the map. 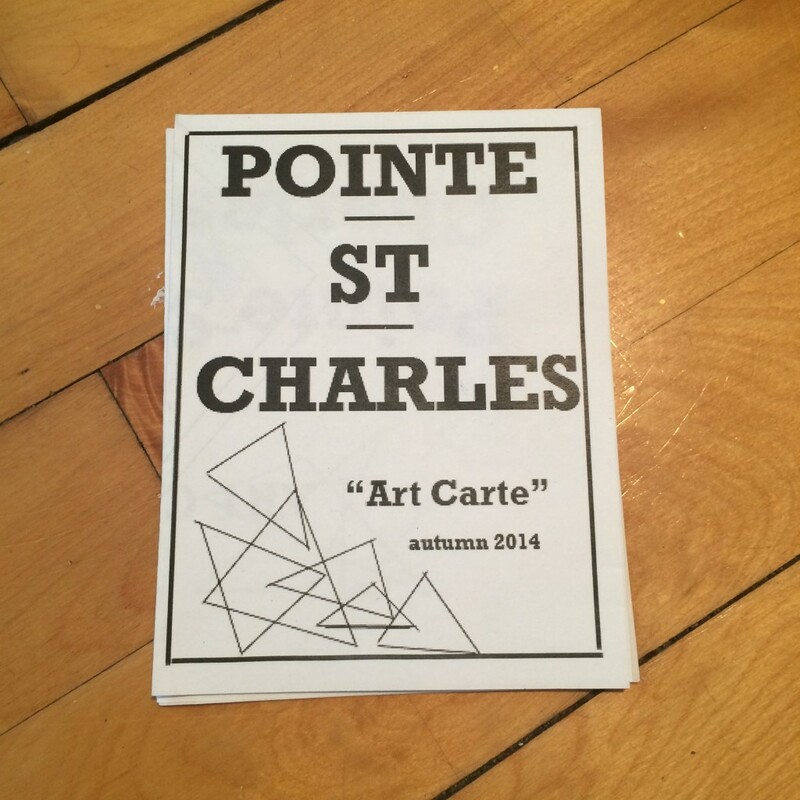 The finder of the Arte Carte then has the opportunity to explore the neighborhood using the map as guide, treasure map style, and may or may not find all the featured art works due to the temporary nature of graffiti. Alternatively, the finder can get a sense of the artistic climate in the neighborhood at that specific moment in time by interacting only with the map and not visiting the neighborhood itself. 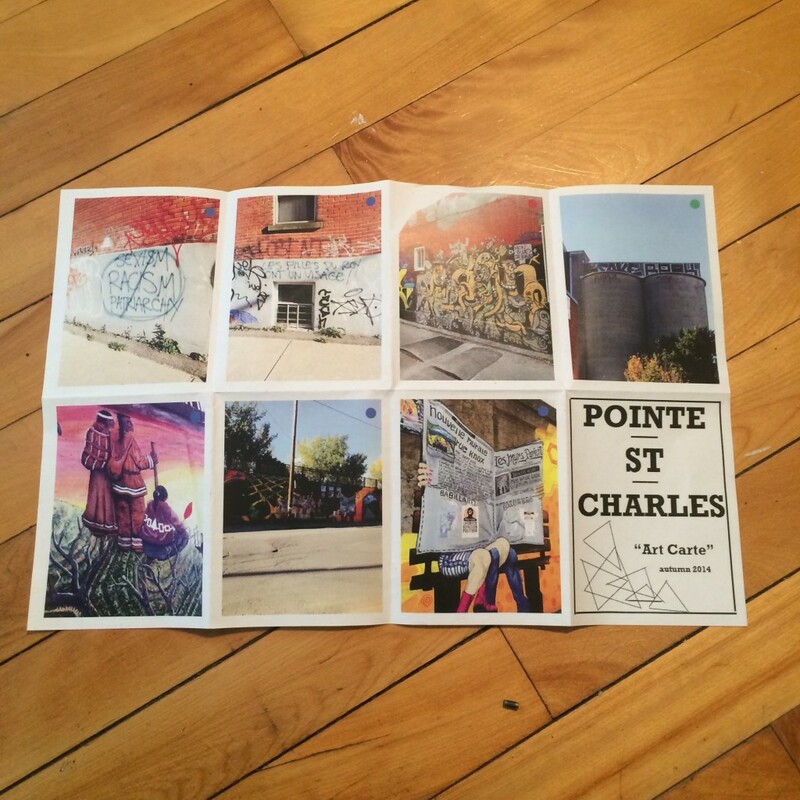 This project serves also my first experience of Pointe-St-Charles that I had this summer. My friend visiting from New York had his car towed to an impound lot in Pointe-St-Charles and in retrieving it, I was enchanted by an intervener who had scrawled “F*ck this car tow place” on the side of the building. 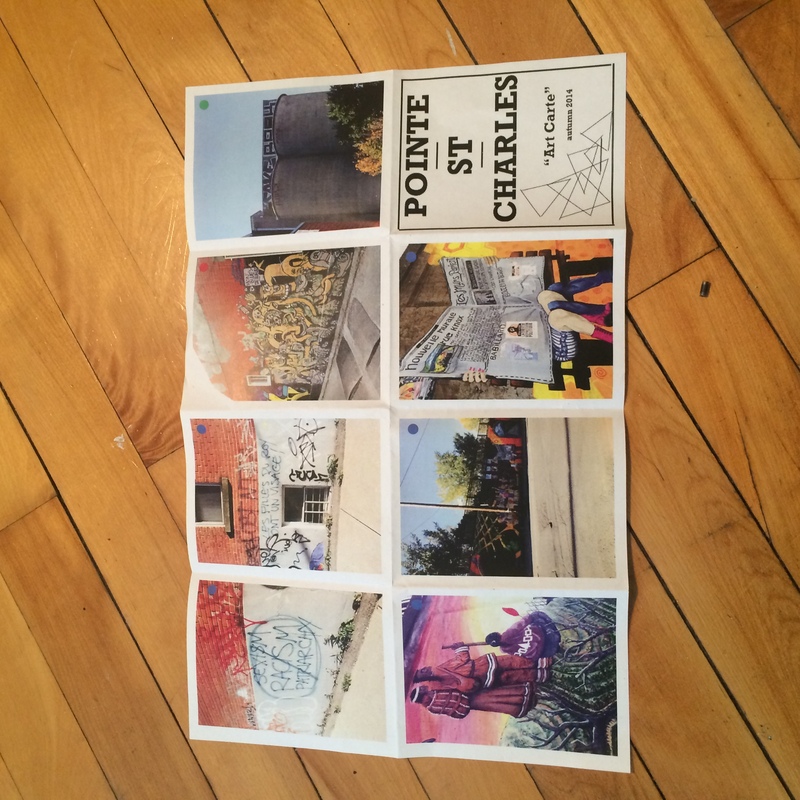 I choose a zine style format for this project because I feel it serves both graffiti and theatre as ephemeral, temporal, disciplines that both have a level of concrete interactions with physical space. 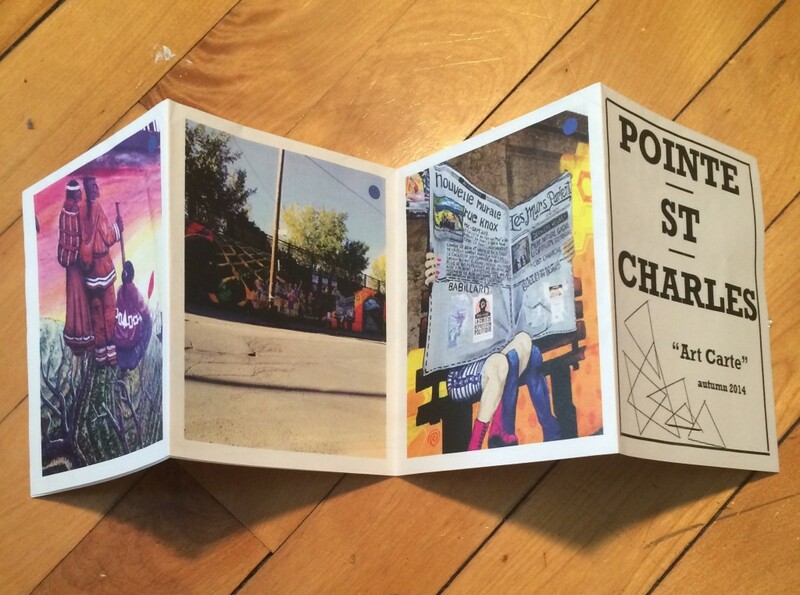 This format could be adapted as a way to record artistic interventions that come for us as artists in residence as well as artistic interventions coming from the community.